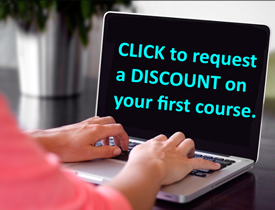 “Peer Coaching and Evaluation” - 15 Hour Self Study Online Course for Teachers. The goal of professional development is not only the growth of the teacher, but also the achievement of high education standards, teacher retention, staff collegiality and efficacy. Learning as a community of educators, and from each other is one of the best ways teachers can find encouragement, inspiration and support as they maneuver everyday challenges in the classroom. This course explores research-based strategies in peer teaching and professional development adopted and embraced by schools across the country. Cognitive Coaching is a model that can help teachers advance both personally and professionally while bringing about growth through ‘supervision, mentoring and cognition.’ Peer review involves shared observation, feedback and reflection to improve curriculum, instructional strategies and classroom practices. Teacher evaluation has gained importance as a system to help teachers regularly consider their teaching practices and the impact on student learning. Through preparation, teachers use documentation and reflection to gain comfort with the professional development process. I just completed 150 hours of professional development. Your courses were just what I needed after being out of the classroom for 10 years to bring me up-to-date. I feel confident now to re-enter the classroom after what I have learned and the resources you have provided me. I will highly recommend your courses! Thanks for your hard work and dedication to designing effective and relevent courses! Also, thanks for always responding promptly if I had a problem or a question. Kudos. Sheila C.